7 June 2017 An interview in Brazilian newspaper Folha De S.Paulo about finding two lost Plath poems and the release of These Ghostly Archives. 25 May 2017 A radio interview with Samira Ahmed for Front Row on BBC Radio 4 exploring how Photoshop and social media helped to explore two lost Plath poems. 25 May 2017 A radio interview for Newshour on the BBC World Service exploring the content of two lost Plath poems and what they can tell us about Plath’s early development as a writer. ‘Hidden Plath poems deciphered after 50 years’ an article by Danuta Kean in The Guardian (25 May 2017, page 9) exploring the discovery of lost Plath poems and unseen photographs by Peter K. Steinberg and myself. A feature article (pages 23-26) exploring Plath’s European heritage and her 1961 visit to Berck Plage in The New European (7-14 April 2017). 22 August 2016 My Muse: Kathryn Williams on Sylvia Plath BBC Radio 4 interview with the musician Kathryn Williams talking about how Plath influences people and ways in which readers become attached to her. 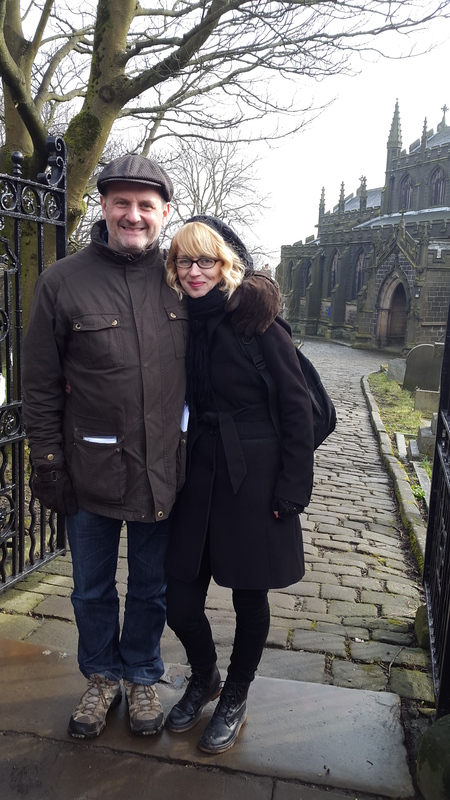 7 May 2015 The Folk of the Pennines BBC Radio 4 Interview with Mark Radcliffe: A visit to Plath’s grave in Heptonstall with Mark Radcliffe to talk about Plath’s connections with Yorkshire. 6 April 2015 Blackburn university students get insight from top academic researcher The Lancashire Telegraph: A review of a talk given about my first book Sylvia Plath in Devon: A Year’s Turning co-written with Elizabeth Sigmund. 28 October 2010 Ted Hughes’ ‘Last Letter’ Mark Ford The New York Review of Books: A discussion about a lost poem by Ted Hughes’s dealing with Plath’s final days.